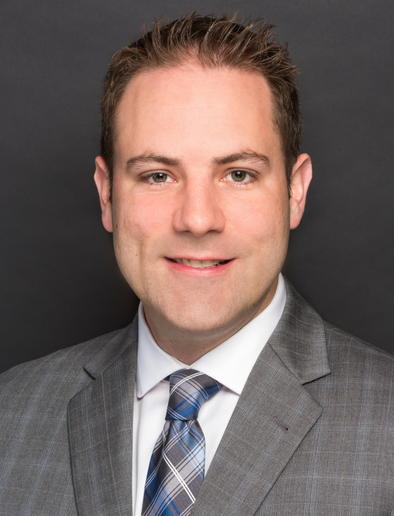 Matthew S. Butterfield, MD, is a sports medicine fellowship-trained orthopedic surgeon who specializes in arthroscopy and reconstruction of the knee and shoulder, total joint replacement, and fracture care. His special interests include ACL reconstruction, rotator cuff repair, and shoulder instability surgery. Dr. Butterfield and his wife live in the West Metro with their young daughter. They enjoy seasonal sporting activities and exploring/traveling through Minnesota and beyond. Dr. Butterfield was recommended to me by my primary care physician. He was kind, professional, thorough and made sure my questions were answered. Would recommend Dr. Butterfield to anyone needing an orthopedic surgeon. No matter if see him for care of my arm fracture or Bakers cyst, he is kind, reassuring and very knowledgeable. I recommend Dr. Butterfield and TCO to anyone who needs orthopedic care. Dr. Butterfield performed a full knee replacement on my right knee in December 2017. Prior to surgery I was limited with my mobility and had daily knee pain. I have been very happy with the results of my surgery. I am very grateful to have my mobility back. Thank you to all of the care providers involved. Dr. Butterfield was outstanding, very little pain after surgery, I was back to work in 6 weeks. My shoulder healed up with better motion then I thought I would have. Dr Butterfield was very professional and very concerned about my condition. I have no second thoughts about going back to him again if needed. OUTSTANDING DOCTOR! After multiple visits to different doctors to diagnose my shoulder problems with no luck, I visited Dr. Butterfield. He took the time to listen to my concerns of the pain and what I wanted to do with my everyday life. ( I wasn’t able to sleep at night and I also did not want to give up crossfit.) After all the tests, it was determined that the only way to help was surgery. Dr. Butterfield took his time to discuss the different ways to correct the problem and also which option was the best. After 4 months of rehab Dr. Butterfield gave me the all clear to resume all my activities. I could not be happier with the results. I am back doing crossfit and sleeping at night. *Rick underwent surgery for Biceps Tenodesis with Dr. Butterfield at Twin Cities Orthopedics. I went to emergency room for my broken ankle and had the surgery the next day. Dr. Butterfield put in a plate and 10 screws. The surgery was amazing and after I didn’t have any nerve damage or other side effects. I am ahead by weeks of the normal recovery. I got very lucky getting a doctor who knew what he was doing. I would recommend him to anyone looking for a surgeon. Dr. Butterfield fixed my 95 year-old mother’s broken femur. Within only a few months’ time, she was “up and at ‘em” with the aid of a walker. Today, she navigates short distances without aid. From pre-op through the mending process, Dr. Butterfield has earned our respect, trust, and appreciation by exceeding expectations in every way. We see him as a highly skilled surgeon whose valued time and attention are thoughtfully shared. We look forward to his charming follow-up appointments. Had my knee replaced on June 1st by Dr. Butterfield. After months of trying various options to relieve my knee pain, it was decided to do a total knee replacement. Dr. Butterfield did a FANTASTIC job! I have my quality of life back after only 3 months. I couldn’t be happier with the outcome!